The finest and freshest half and half display of beautiful Pink and Red roses of the highest quality presented lovingly in luxurious giftwrapping. Complimented with red berries and the very best foliages. 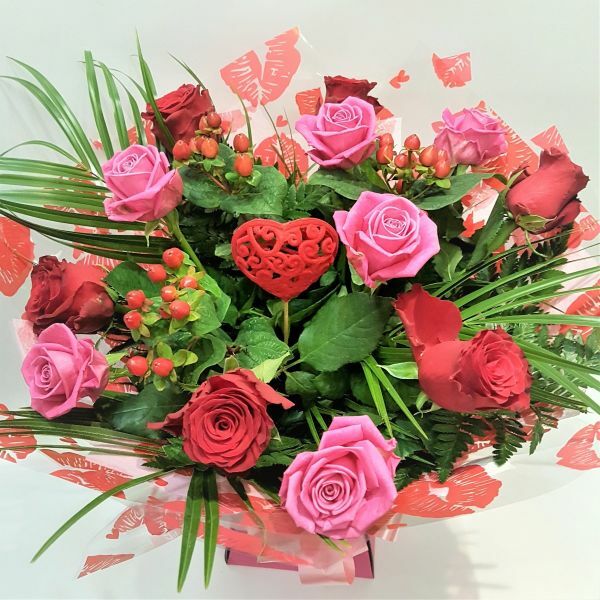 A dozen roses for Valentine's Day really is super special, classic and a sure winner with this pink and red mix.